If you're all about being comfortable when it comes to figuring out an outfit, this combination of a navy fishtail parka and navy skinny jeans is what you need. To add elegance to your look, round off with Dune wide fit brogue boots in black leather. 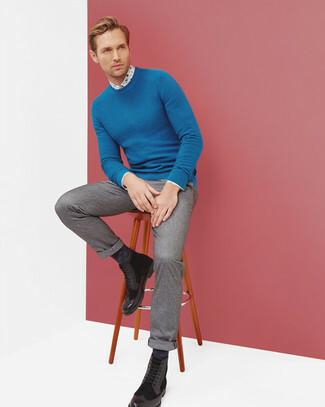 A blue crew-neck sweater and grey wool dress pants is a greatcombo for you to try. For something more on the daring side to complement this outfit, rock a pair of Dune wide fit brogue boots in black leather. 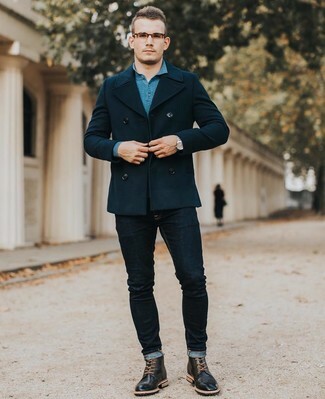 This casual combo of a navy pea coat and navy skinny jeans is extremely easy to put together without a second thought, helping you look dapper and prepared for anything without spending too much time searching through your wardrobe. 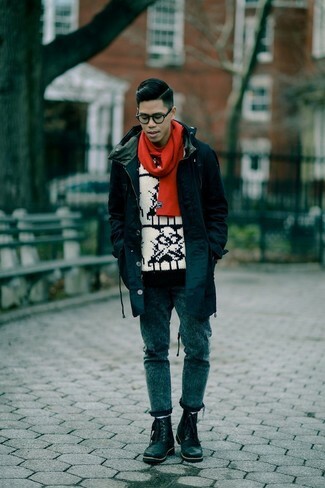 To bring some extra flair to your outfit, complete this look with a pair of black leather brogue boots. If you're hunting for a casual yet stylish getup, try teaming a black field jacket with yellow shorts. Both garments are totally comfortable and will look great paired together. Turn your sartorial beast mode on and throw in a pair of Dune wide fit brogue boots in black leather from Asos. 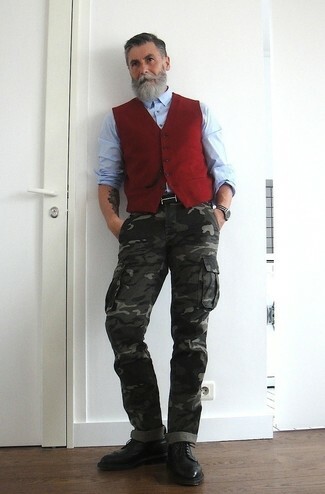 This pairing of a red waistcoat and charcoal camouflage cargo pants is very easy to put together in seconds time, helping you look awesome and ready for anything without spending a ton of time rummaging through your collection. 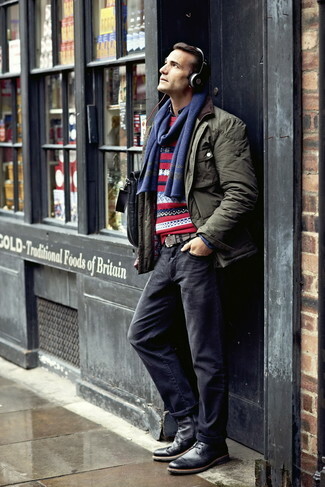 When it comes to shoes, this outfit is complemented nicely with Dune wide fit brogue boots in black leather from Asos. This combination of a black overcoat and navy wool dress pants oozes masculinity and refined elegance. For something more on the daring side to round off this outfit, choose a pair of black leather brogue boots. 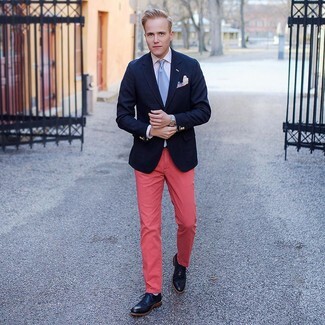 This combination of a navy blazer and hot pink chinos is super easy to put together in next to no time, helping you look amazing and ready for anything without spending too much time searching through your closet. 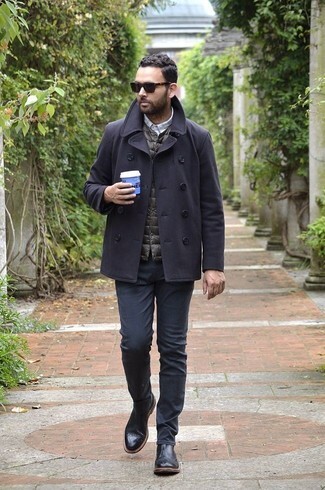 Finish off with black leather brogue boots and off you go looking dashing. If you're searching for a casual yet seriously stylish ensemble, marry an olive field jacket with navy jeans. Both garments are totally comfortable and will look great together. 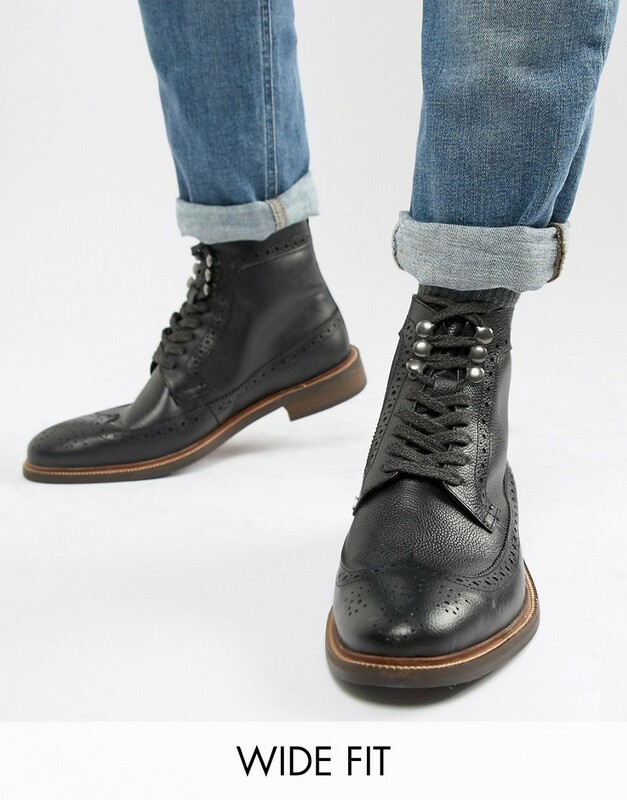 Take a classic approach with the footwear and grab a pair of black leather brogue boots. This pairing of a charcoal pea coat and black jeans is super easy to pull together without a second thought, helping you look amazing and ready for anything without spending a ton of time rummaging through your closet. When it comes to shoes, this ensemble pairs nicely with Dune wide fit brogue boots in black leather.